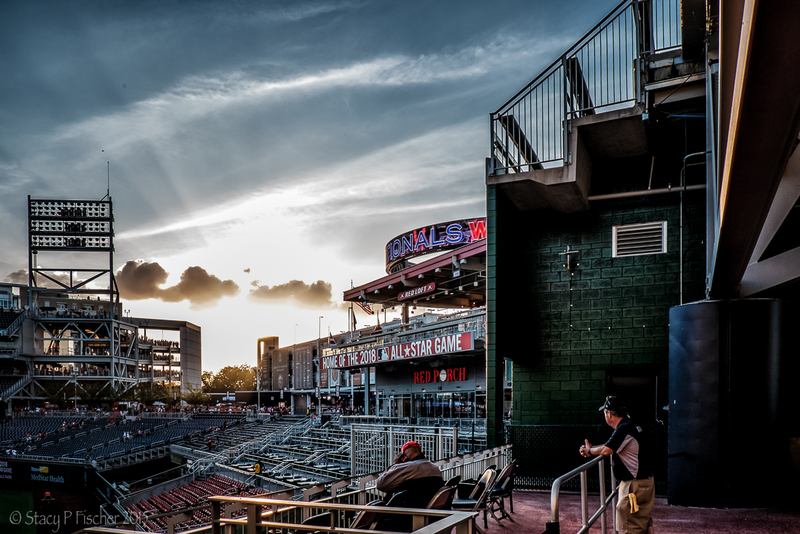 Yesterday, the Washington Nationals (now officially eliminated from playoff contention) played their last home game of the 2015 season. 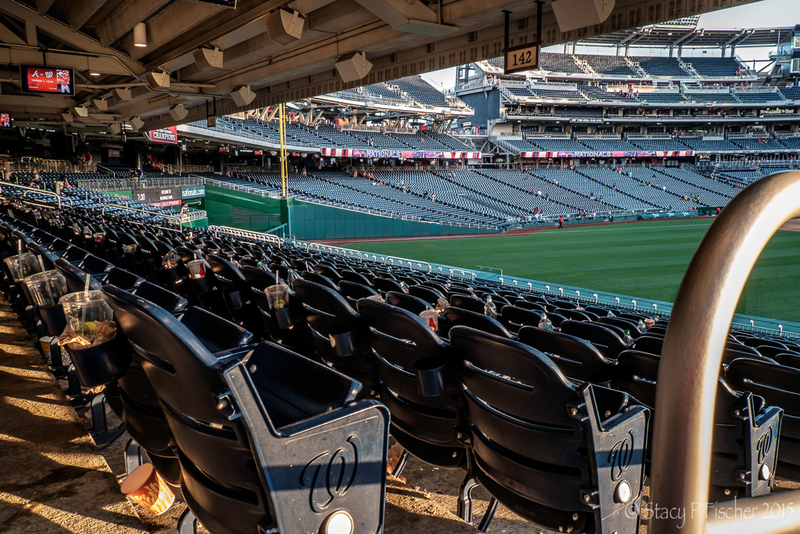 It’s been a disheartening season for loyal fans, but Nationals Park certainly never disappoints. 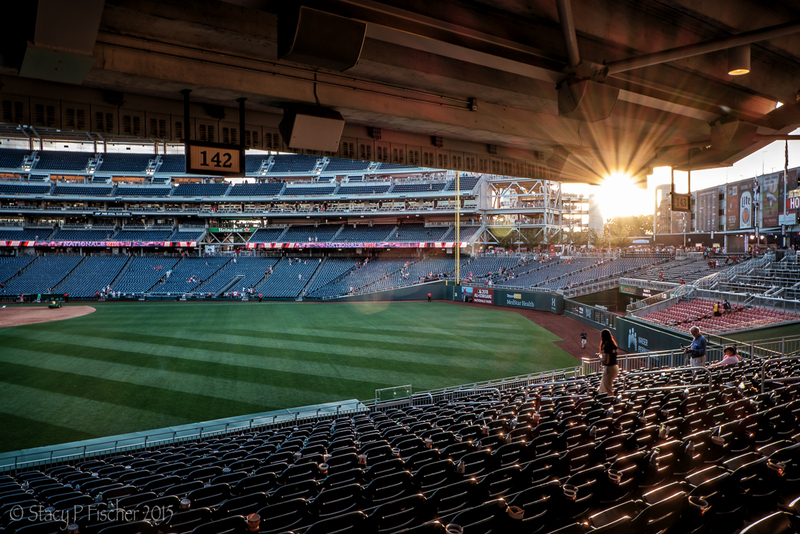 This entry was posted in Places, Washington, D.C. and tagged baseball, Fuji XT1, photography, postaday, sports, sunsets, Washington DC. Bookmark the permalink. 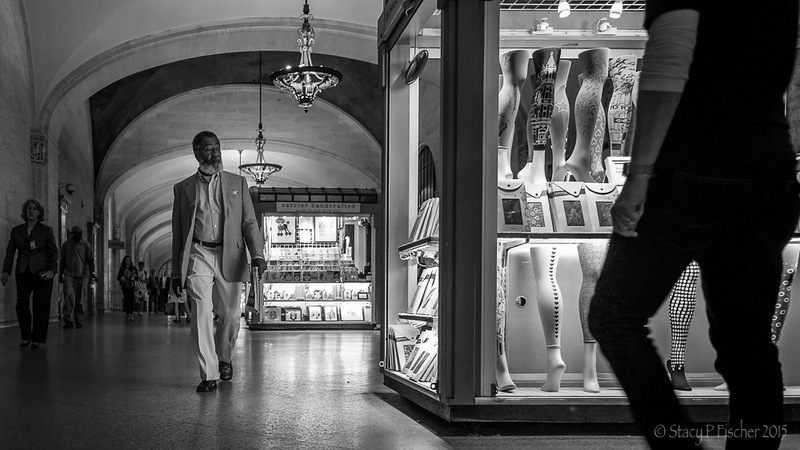 Love the lighting in these shots, Stacy! Sad for you Stacy but as an almost New Yorker, (i.e. you!) what a feast – how great if you could get up here for the play-offs! Great images! Beautiful images. I have not been at a baseball game in years. Fingers crossed the stadium is completed sooner rather than later! Wish you did too, Fernan! The light in the first picture is so beautiful. It co-exists with the trash people left! I loved the light in that one too, Lisa, despite the leftover trash 🙂 Thanks! I love the idea of taking photos of empty stadiums, must see if I can get permission one day. I love your shots there is a lot of sentimentality in them. Thanks, Leanne! Actually, I never even thought about having to get permission, but as I went back down into the seats at the end of the game, I was finally asked to leave (but not after I had gotten these few 😄).